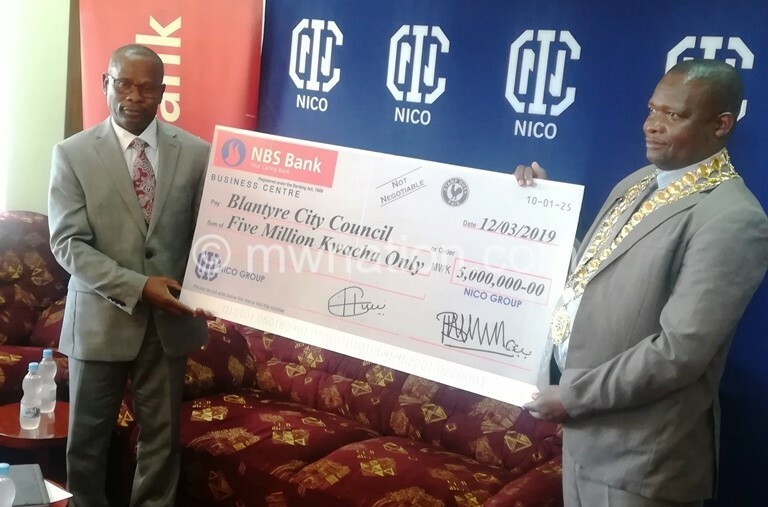 One of the country’s leading insurance companies, Nico Holdings Limited on Tuesday donated K5 million to Blantyre City Council (BCC) towards heavy rains and floods victims in the city. Speaking during the donation, Nico Group managing director, Vizyenge Kumwenda said the company has an obligation to assist in disaster such as floods. “There are a lot of people out there who cannot afford to buy insurance and yet they are affected in a similar way that they have lost property. We will not only help our clients but also help those in our communities that cannot afford to help themselves. “This is a time of need when our clients appreciate us and we will be doing what we are there to do to help them,” he said. BCC mayor Wild Ndipo assured Nico that the donation will be put to good use. “We are grateful for this timely donation. We appeal to other organisations to emulate what Nico has done. 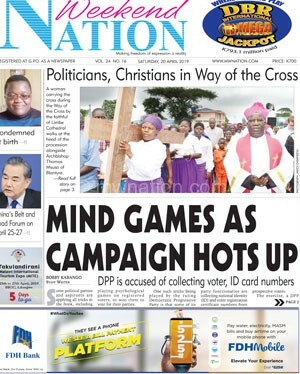 Most of the structures damaged, are from informal settlements where people have lost shelter and foodstuff,” he said.